All profits made go directly towards our rapidly growing savings for our massive non profit hands on herbal learning farm goals! Read about it here! What is the Demystify your medicine coven? Quite simply put it is a way for us to remember safe simple plant knowledge one emailed newsletter at a time! As we slowly walk through the year we will focus in a single plant that is thriving in its season each and every month. The simple act of learning one plant at a time, one month at a time will launch us into remembering safe simple plant based healing with ease. Remembering? Yes remembering! Your ancestors no matter what culture your blood comes from had a relationship with the land and the plant’s that grow upon her! So you see there are ancient memories in your blood! It’s just a matter of waking them up! But this is so much more than an emailed newsletter! It is a community! We have just rebuilt our thriving message board a place where you can share your thought with other members, ask questions, share stories, enter challenges and have a truly interactive relationship with like minded people! What’s new about it? A few neat things! We are using a well known platform that comes with an app! Yep an app! This means you will always have the group at your fingertips! We have also created a private section on the board for members only! Why does there need to be a private section? Because the main board will now be open to the public! This allows for more safe simple herbalism knowledge to be shared for free, keeps conversations active all while allowing many different views! So please know even if you can’t afford to sign up for the newsletter you can still join in on some great discussions! What is in the private section for members? This will be where we talk in a more intimate matter about our how our life is going, where we can ask for advice on sensitive matters, where we can discuss the newsletters as they come in! I know that may not sound like the most exhilarating thing in the world but the truth is on the internet having a private place where there are no judging eyes is a rarity these days! Beyond the emailed newsletter is there anything else that helps us step onto this path?! Six so very easy to enter competitions a year! Every few months I will ask you to show and tell the world what you have learned, created and how you feel about remembering these things! How they have helped you and your loved ones in life! Not only is this a great way to be rewarded for the work we have done it’s also an inspiration to others who have been told for far to long that they are not smart enough to do this without paying thousands of dollars for courses! So um what can I win in these competitions? Well for 5 of the competitions you can win a $100.00 off coupon code for my shop! The final competition of the year will only be open to the past winners! If you win this competition you will win a coupon code for $499.00! So let’s jump into the nitty gritty details of what this is gana cost! As a lot of you know I stand pretty firmly against knowledge held hostage for profit so I genuinely try to make this as cheap as possible and actually cheaper than it should be if I am being honest! 12 emailed newsletters a year that cover safe simple common plant allies, recipes, video links, how to information and more! 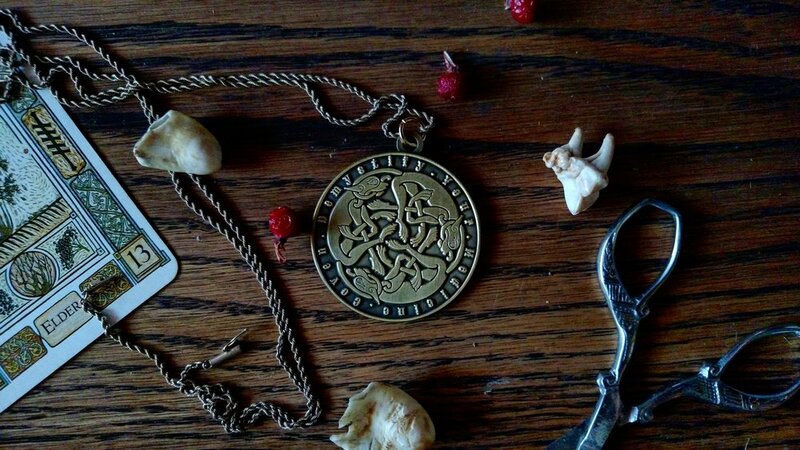 A customized demystify your medicine coven pendant mailed to you that allows you to enter the competitions! A years access to the private members section on the message boards! Only $65.00 for an entire years worth of learning! That’s less than six bucks a month to put the cost into perspective! Psst! You only need to add “1” to cart for a subscription adding more than that will not get you more newsletters. Only $50.00 for an entire years worth of learning! That’s barely four bucks a month to put the cost into perspective! Can’t afford to pay all at once? No worries there is a pay as you go option for emailed only members! How about $10.00 every other month?! I really am trying to make this not just affordable but inclusive to anyone no matter their financial status! Still can’t afford any of this? I fully understand! Don’t loose hope, keep reading! Not only is the message board open to the public (free!) as I send out each month newsletter I will publish the last months for all to read! Yes I know this will likely lose me “profit” as folks simply wait for each previous newsletter to be released versus signing up, and I am okay with that. Ultimately the most important thing to me is knowing that those who can't afford have access to safe simple healing knowledge no matter what! Click HERE to read the cut and dry rules/regulations for membership.